Michael J. Todaro is an Executive Vice President for M&T Bank, where he oversees Enterprise Transformation—a division of the bank dedicated to improving business processes, removing impediments to progress and evaluating/integrating external opportunities. 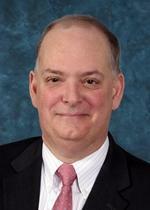 He also serves as a member of M&T’s Management Committee, and an Executive Vice President of Wilmington Trust, N.A. Todaro began his career with M&T in 1995, serving in a number of positions within the Mortgage and Consumer Lending areas. Prior to joining M&T, he was responsible for national mortgage operations at Citicorp Mortgage and held various positions at Marine Midland Mortgage Corporation and the Federal Reserve Bank of New York. Todaro holds a Bachelor of Arts (BA) from Colgate University and a Master of Business Administration (MBA) from New York University’s Stern School of Business. He serves as a director of the Bayview Lending Group, Lafayette Settlement Services and M&T Mortgage Reinsurance Company, Inc. He is also active in the Buffalo community serving on the Board of Trustees for Canisius College.